The first Firefox OS-based handsets aimed at consumers will go on sale as early as this week as operators around the world ready themselves to start selling the open source devices. Mozilla announced the regional launches of several Firefox OS-based devices on Monday, confirming that the first retail version smartphones will go on sale with some operators from as early as next week, and would continue to roll out for the rest of the year. 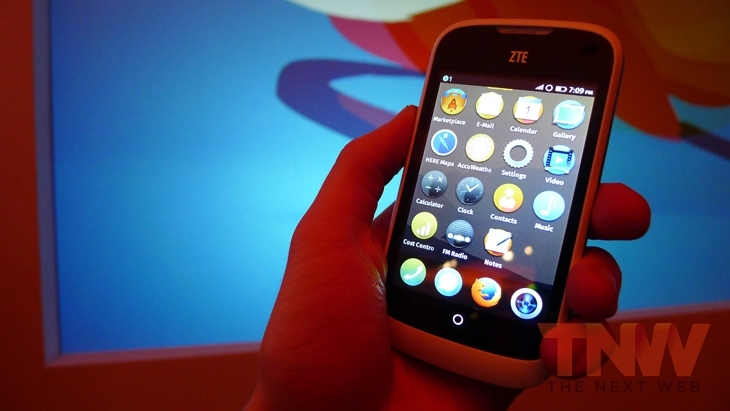 The first devices to arrive (in Europe, at least) will be the ZTE Open (pictured below) and the Alcatel One Touch Fire from Deutsche Telekom and Telefónica respectively. UPDATE: Since this was published Telefónica has announced its first device, the ZTE Open, will be available to buy from tomorrow priced at €69 including VAT. “Smartphones need to be more open and that the Web is the platform for making this possible. Consumers should not be locked to any one system but have the choice to consume the content they want and the flexibility to be able to take it with them when they change devices. 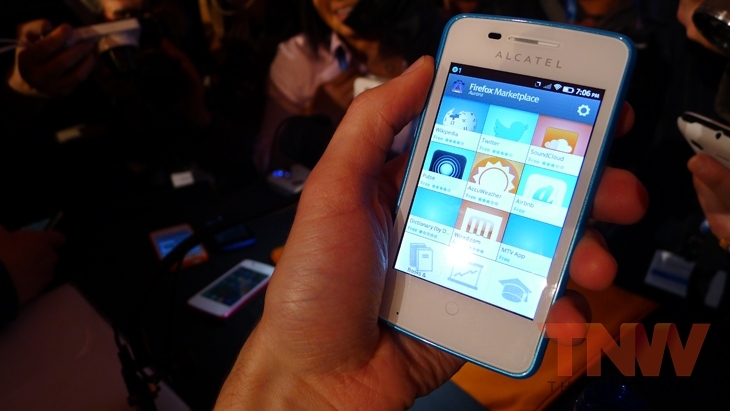 This week marks a key turning point for the industry as we launch the first commercial Firefox OS devices in Spain. This is just the beginning as we bring Firefox OS to more and more of our markets across an expanding range of smartphones,” added José María Álvarez-Pallete, Chief Operating Officer of Telefónica. While these technically won’t be the first Firefox OS devices to go on sale, they will be the first devices aimed at consumers as Geeksphone’s Keon and Peak devices were supposed to be aimed squarely at developers. The Firefox OS is an interesting, but currently unproven, proposition for handset makers and operators perhaps looking to expand beyond the usual range of hero devices based on Android or iOS. Initial response to the OS and the Geeksphone developer devices has been positive, with the retailer selling out of the developer devices multiple times. However, despite strong early sentiment from the market it’ll be a long road for a brand new OS to mature to the point where handset makers will be comfortable rolling out their next range-topping device with only Firefox OS on board.